A common misperception held by many today is that only two types of people are able to be truly generous. Only the very rich (the likes of Warren Buffet or Bill Gates) or the very holy (the likes of Mother Theresa or St. Francis of Assisi) can be generous. The former, because they have such incredible levels of wealth that if they were to give away 50% of their wealth, they would still be able to live like royalty. The latter, because they are already so sanctified by God that they are simply unmoved by the human frailty of desire. For everyone else, we live under the laws of economic theory that states 1) we are faced with limited resources and 2) we need to maximize our resources to maximize our utility. The math seems to support that premise. If I have 100 Denari and I give away 10 Denari, I’ll be left with 90 Denari (and 90 just isn’t enough to buy what I need to buy in order to be happy -or- 9/10th happy isn’t 100% happy). Just about everything we do in the financial planning world supports this world view. We act as fiduciaries for our clients, keeping our fees low, developing long-term financial plans, providing strategies to assist them reduce their taxes, suggesting risk mitigation strategies to protect their plan, investing our client’s hard-earned income in those investments that provide the greatest return with the lowest risk, and helping them establish estate planning vehicles with which to protect their property and the means by which to leave a legacy. But is what we are doing providing the ULTIMATE utility for the client? Is it not a huge paradox to see the businessman who has striven his whole life to maximize his wealth suddenly decide to give it all away AND smile while doing so. The answer to that question lies in the reality that as human beings we come into this world with nothing and we will exit this world with nothing, so we are merely custodians of wealth while we are here. Somehow the fact that we don’t actually permanently possess wealth is missed by the majority of human beings in the unending clamor for more. But somehow it does become clear to some over the course of life that gaining that marginal increase in wealth is not equivalent to an equal marginal increase in utility. Whether you are a believer in Jesus’ deity or recognize him as a prophet or philosopher or merely a clever rebel rouser of his day, his teachings warrant closer examination. Read Luke 12 in the NASB. If you frequently read the Bible, read a different translation to gain a fresh perspective. The message Jesus gave to the multitudes as recorded in Luke 12 is one of the greatest pieces of literature ever written. It, like much of scripture, can be read on a number of different planes but it is fundamentally a primer on how to live well—which includes living generously. The passage points to the Master entrusting the servant with the responsibility of managing the Master’s estate. Verses 37 and 48 indicate that the faithful servant will be given more responsibility (and apparently will eventually be made one of the family) if he manages well what little he is initially given. Do not miss this next point because it is intrinsically important to the passage. The servant is entrusted with the care of the Master’s treasure which includes caring for the Master’s other servants (the Master’s treasure includes our neighbors/fellow humans) because God is all about relationship with his creation. The message of Christ and behavioral research studies share a common denominator of moral resolve, not one of reckless abandon. In fact, Christ’s message is clear that the faithful servant is a diligent, prepared, wise, and sensible manager, not some irresponsible flake. The story from Luke demands that the hearer pose the question personally: What metric will you use to measure your life’s success? Will success be based on pure economic theory or on something else? Wishing you a joyous holiday season filled with good friends, family, health, and time to socratically reflect on the meaning of your life. 1https://greatergood.berkeley.edu/article/item/5_ways_giving_is_good_for_you. 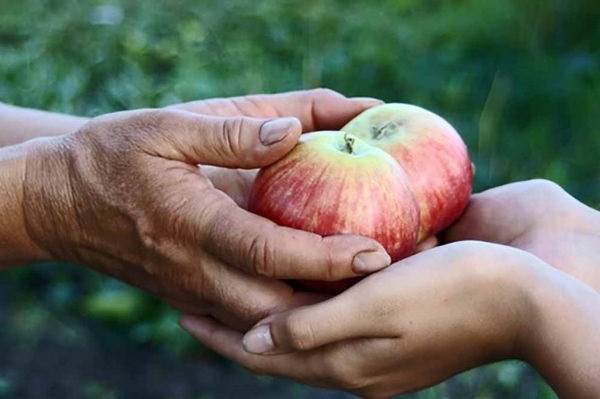 “Five Ways Giving is Good for You,” by Jason Marsh and Jill Suttie. Greater Good Science Center at UC Berkeley, Science-Based Insights for a Meaningful Life. December 13, 2010.